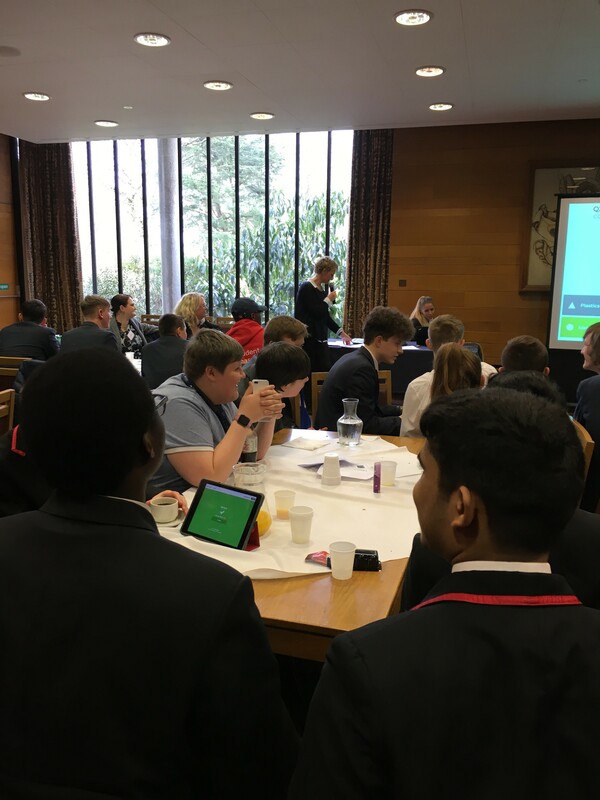 This month, ten Year 10 students visited Wolfson College to attend a Study Higher Science Conference, hosted by the University of Oxford, in partnership with University of Reading. 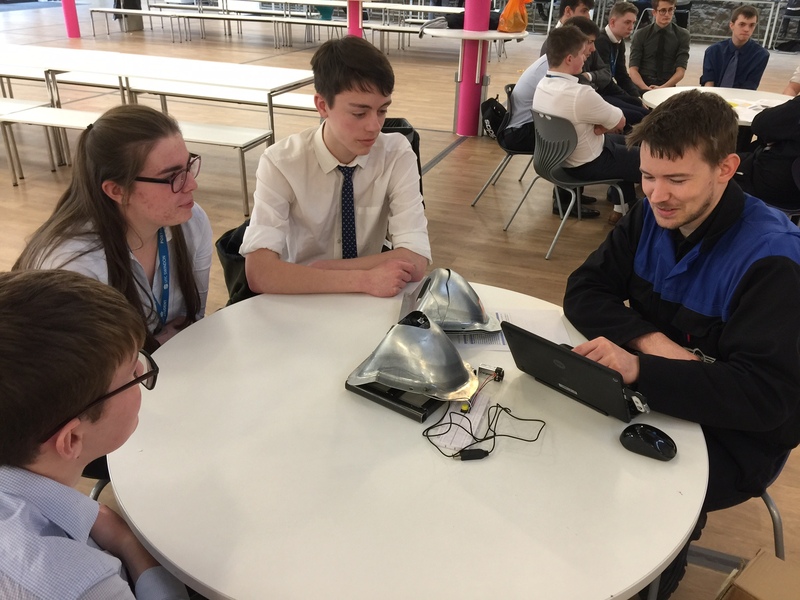 The visit was a great opportunity for students considering further studies in science to be introduced to the related subjects that are available at university. The main focus was on subjects such as Earth Sciences (Geology), Zoology, Maths and Engineering. This workshop primarily consisted of car coding, featuring hands-on tasks that gave students an insight into the fun and engaging world of coding, robotics and STEM (Science, Technology, Engineering and Maths). Students worked in small teams to experience first-hand how to build a basic robotic device, being a remote-controlled car. 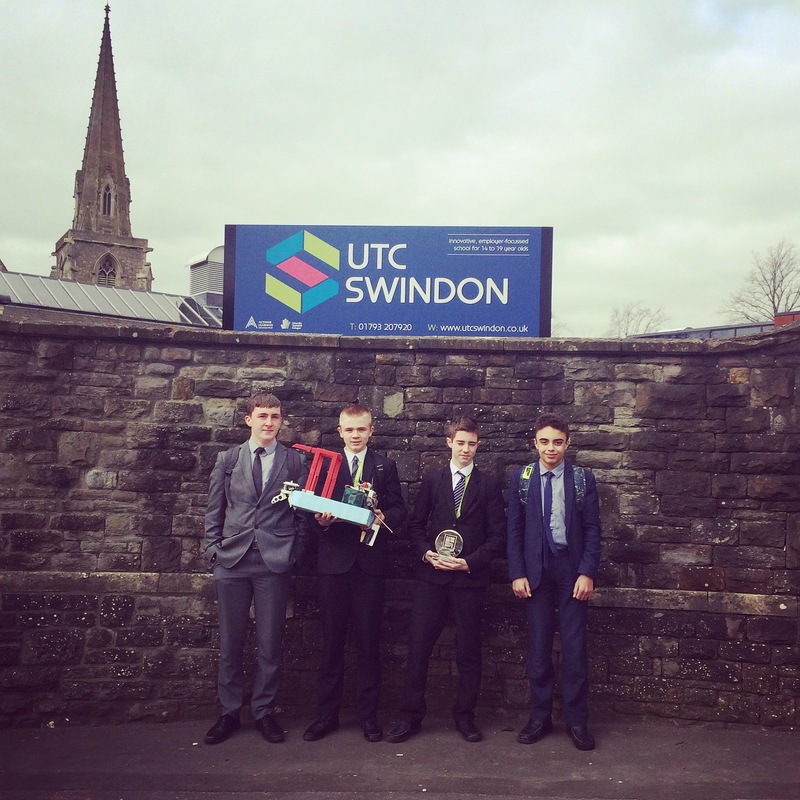 UTC Swindon team WINS Royal Navy Engineering Challenge for KS4! 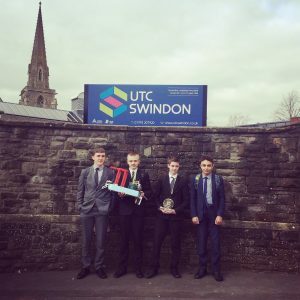 A team of five Year 10 students from UTC Swindon are celebrating after triumphing over tough national competition to win the 14-16 age group in the Royal Navy Engineering Challenge Finals, held in the Newcomen Hangar at HMS Sultan in Portsmouth. In a challenge that incorporated design, engineering, construction and business skills, the students had to prove that their design for an unmanned, powered, remotely operated system to clear objects from the sea-bed would work in reality. UTC Swindon received a great turn out for this year’s March open event, with groups of prospective students and their families coming along to see what the college has to offer. 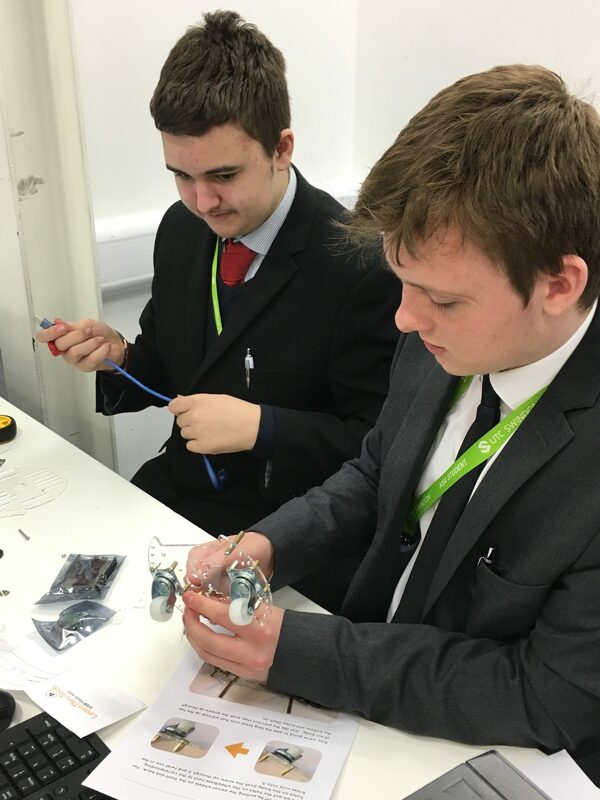 The event on Saturday 24 March was open from 10am – 1pm and gave visitors the chance to be taken on a tour of the college, by one of our current students, and having the opportunity to speak with staff and ask any questions they had.